Internationally best-selling crime writer Val McDermid has riveted millions of readers worldwide with her acutely suspenseful, psychologically complex, seamlessly plotted thrillers. 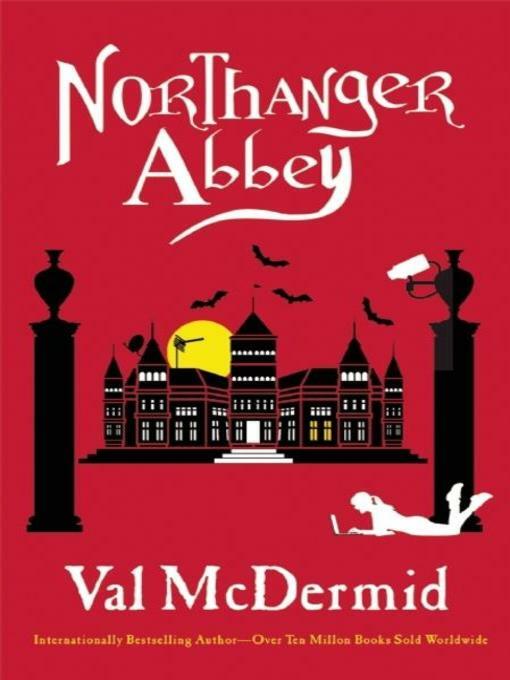 In Northanger Abbey, she delivers her own, witty, updated take on Austen's classic novel about a young woman whose visit to the stately home of a well-to-do acquaintance stirs her most macabre imaginings, with an extra frisson of suspense that only McDermid could provide. Cat Morland is ready to grow up. A homeschooled minister's daughter in the quaint, sheltered Piddle Valley in Dorset, she loses herself in novels and is sure there is a glamorous adventure awaiting her beyond the valley's narrow horizon. So imagine her delight when the Allens, neighbors and friends of her parents, invite her to attend the Fringe Festival in Edinburgh as their guest. With a sunny personality, tickets every night and a few key wardrobe additions courtesy of Susie Allen, Cat quickly begins to take Edinburgh by storm and is taken into the bosom of the Thorpe family, particularly by eldest daughter Bella. And then there's the handsome Henry Tilney, an up-and-coming lawyer whose family home is the beautiful and forbidding Northanger Abbey. Cat is entranced by Henry and his charming sister Eleanor, but she can't help wondering if everything about them is as perfect as it seems. Or has she just been reading too many novels? A delectable, note-perfect modern update of the Jane Austen classic, Northanger Abbey tells a timeless story of innocence amid cynicism, the exquisite angst of young love, and the value of friendship.